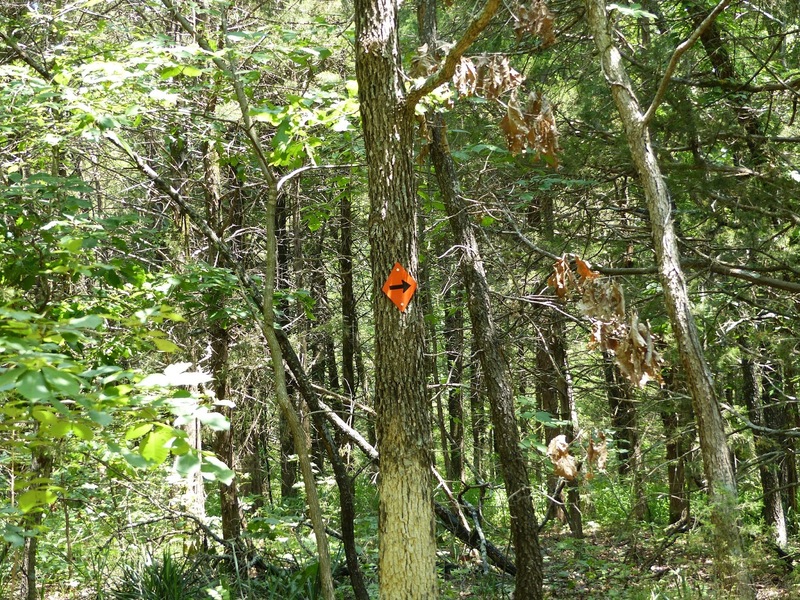 This trail is open to hunters during hunting seasons. 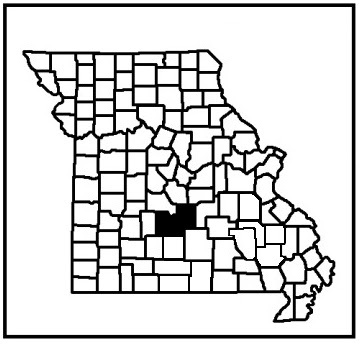 From Rolla, take I-44 west to the Hwy 133 exit. It’s the same exit as the Oasis Truck Port. Turn left and go over the bridge. Turn left onto Hwy AB. Drive just several feet and make a right onto Spring Road, the first road on the right you come to. Follow Spring Road to Hwy K (the first paved road on the left) and turn left. Drive on Hwy K until you get to the junction of Hwy K, Hwy AC, and Flagstone Road. Turn left onto Flagstone Road. Follow Flagstone Road until you get to Village Road and turn left. The campground is on your right. About 25+ miles in multiple loops. 4.5 miles of gravel road riding. 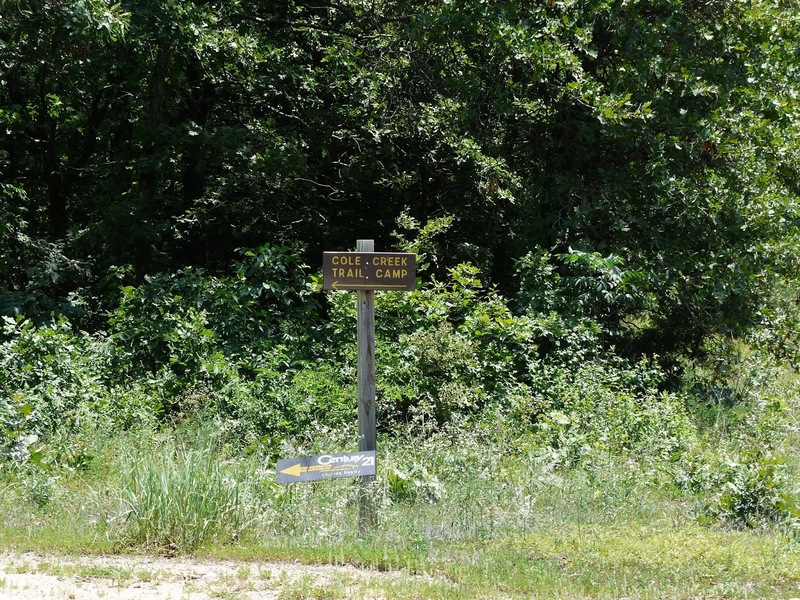 Yes, at the large campground lot and also primitive dispersed camping along the trail. 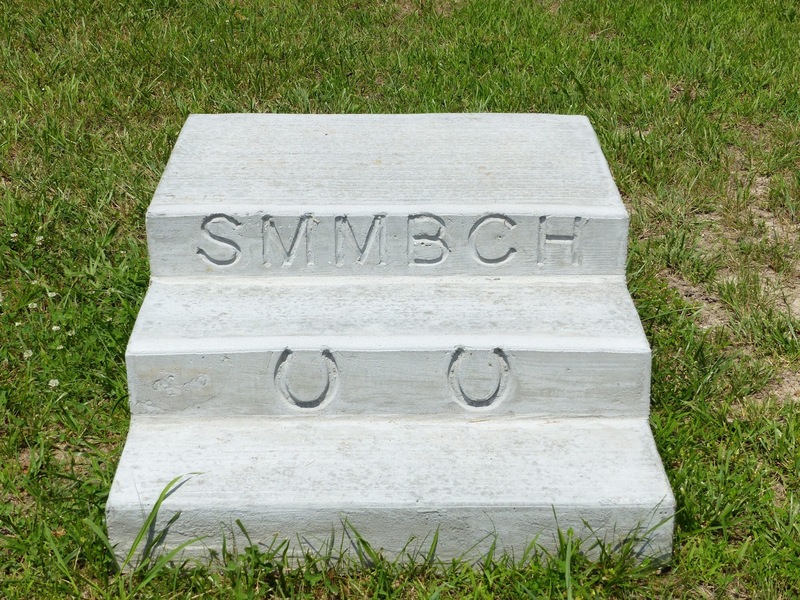 There are a couple of picnic tables, two hitching rails, 3 highline post sets, and a mounting block are all available. 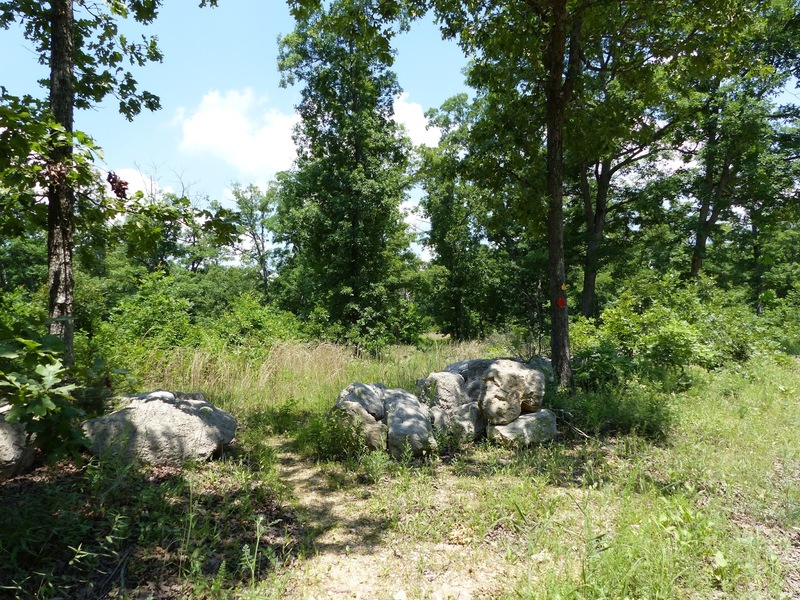 This trail very well marked and maintained, due to a lot of hard work by the Brownfield Chapter of Show-me Missouri Back Country Horsemen. 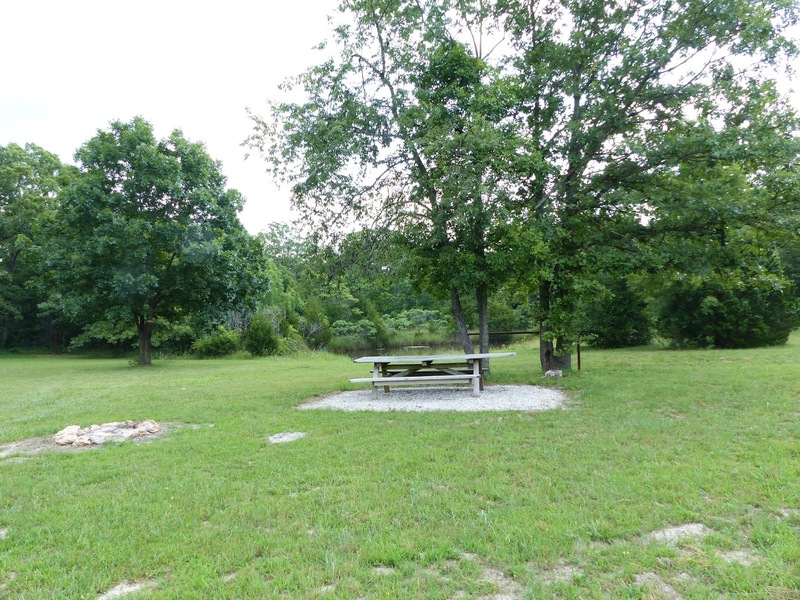 They have cleared the existing trails, built new trails, and added the amenities to the campground. 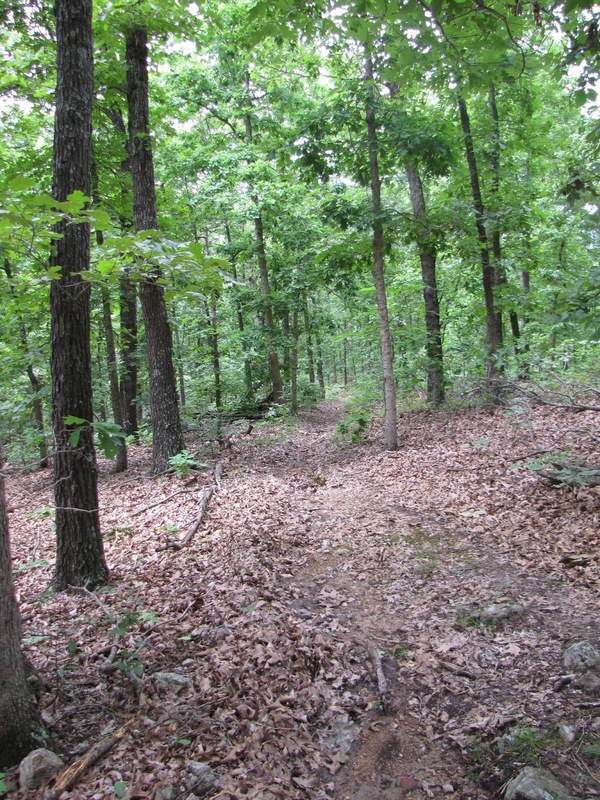 The trails are a mix of single track, double track, and old logging roads. 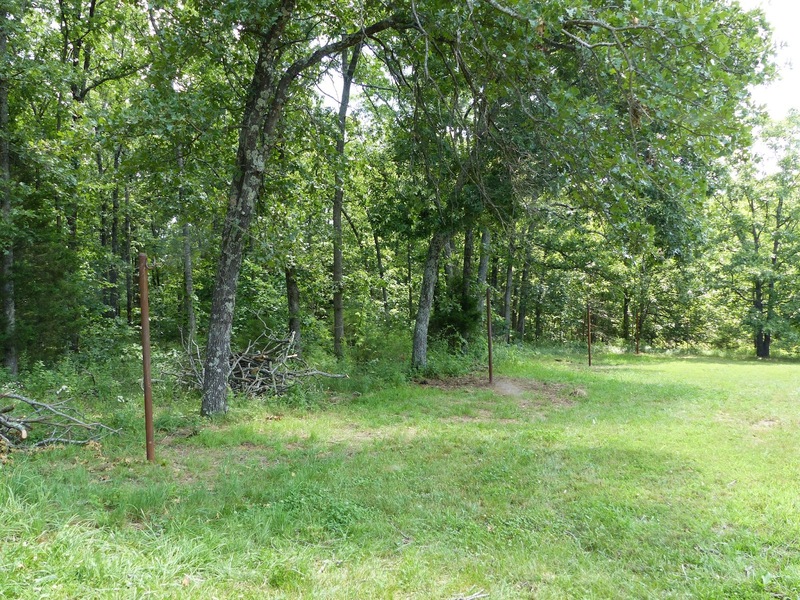 There are some open areas, but most of it is wooded which helps keep you and your horse a bit cooler in the heat of summer. If you ride to the northern end of the system, you can be rewarded with a dip in the river. 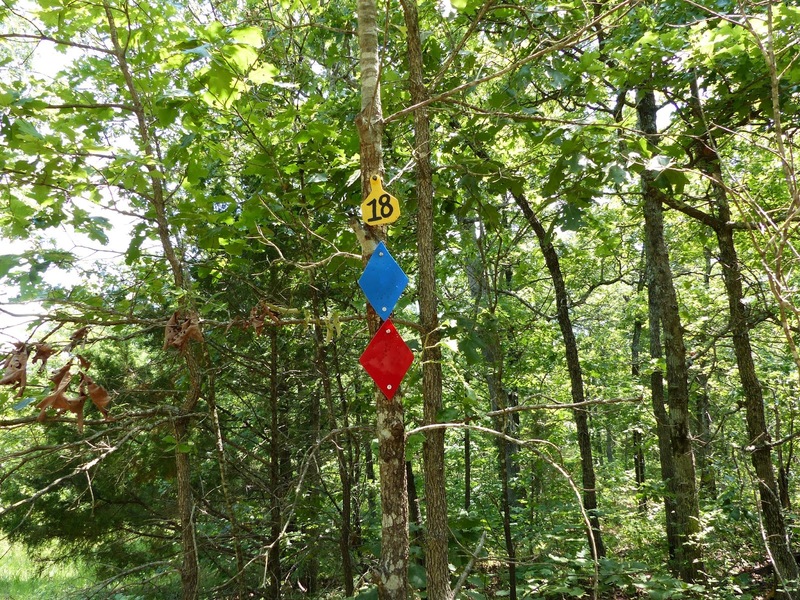 There are yellow numbered markers on the trails anywhere they exit onto the gravel road. The higher the number, the farther you are from the campground. Even numbers exit on the east side of the road, odd numbers exit on the west side of the road. 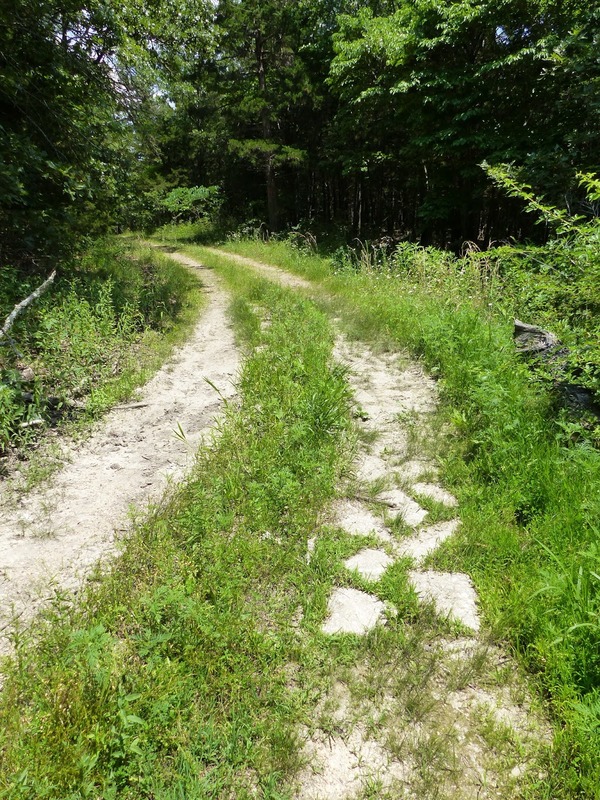 The trails can be rocky, and since you also cross or can ride the gravel road, shoes or boots are advised. 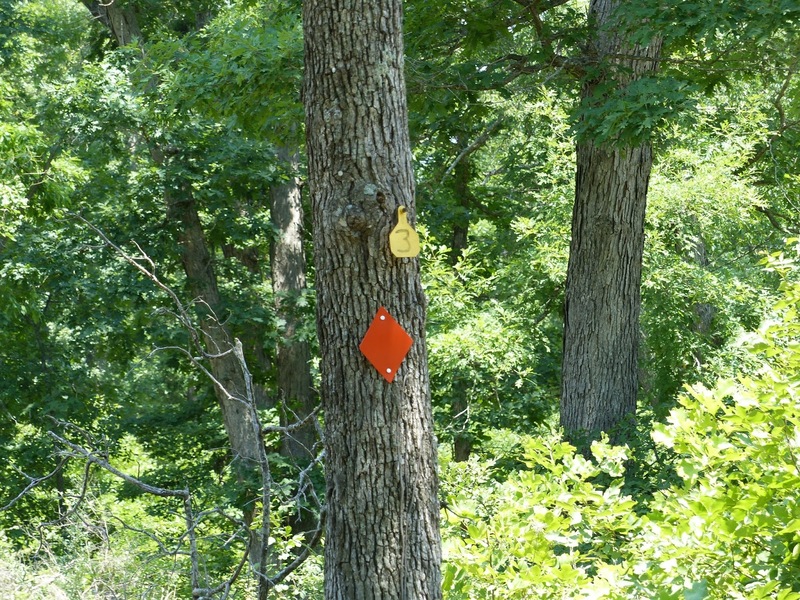 There are 4 designated trails, plus one more trail that isn’t officially designated yet. 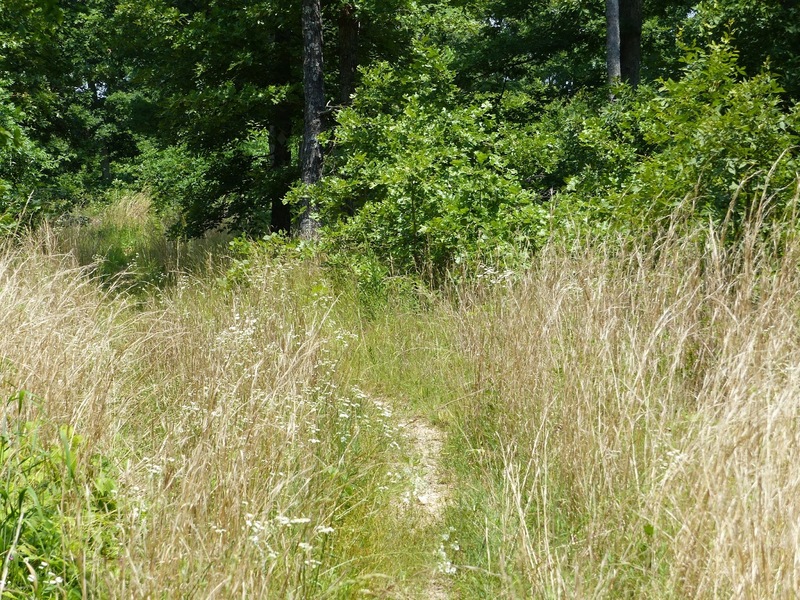 Orange Trail – Slightly over 5 miles, this is one of the original trails. 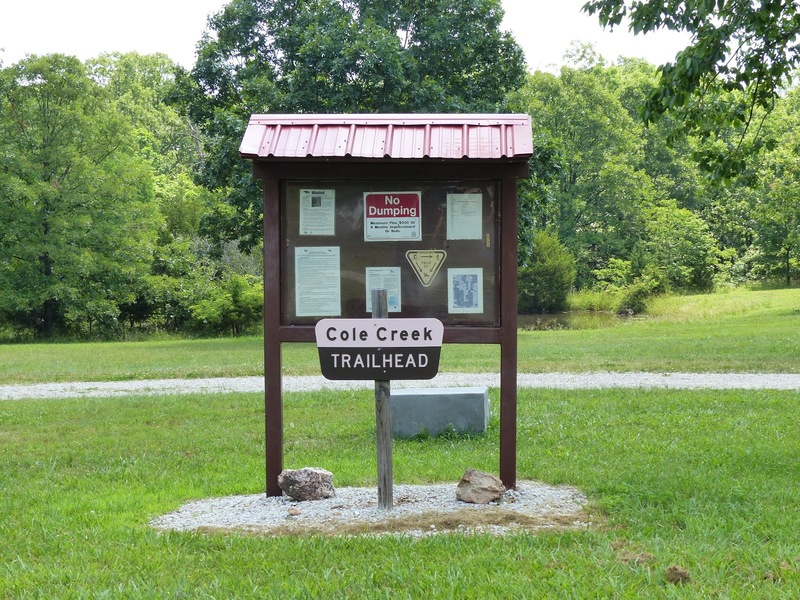 This trail starts at the campground, is a loop, and goes north. It has a few short steep hills, but nothing too drastic. 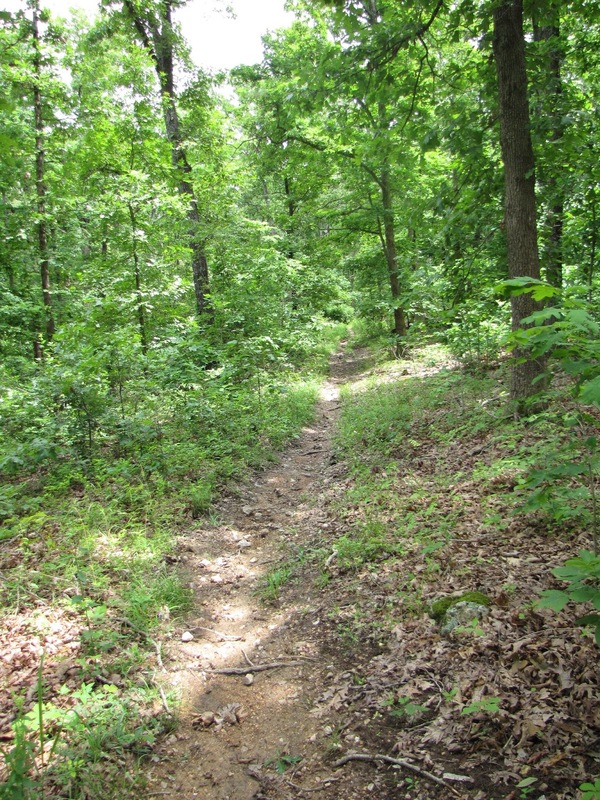 Yellow Trail – About 6 miles, this is the second of the original trails, this trail is west of the campground. 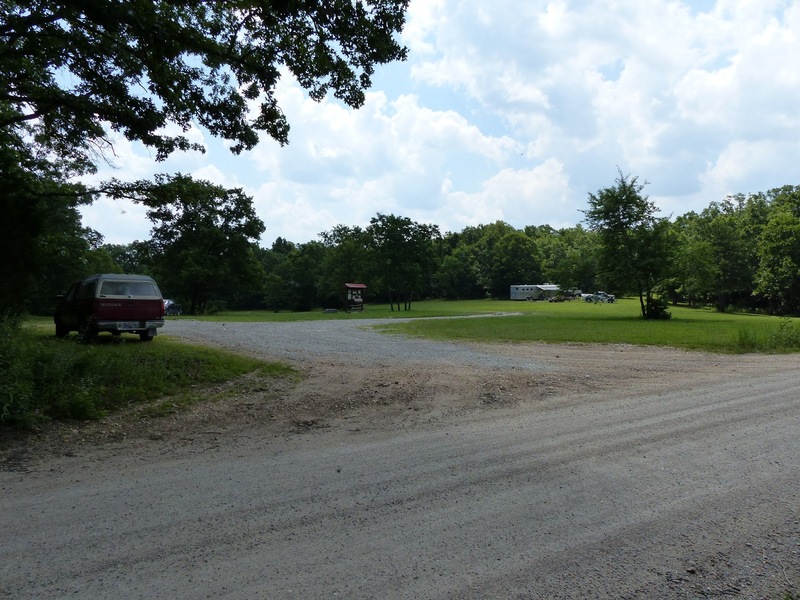 It’s a short linear that leads to a loop, starts from the campground, but you cross Village Road to get to the loop. 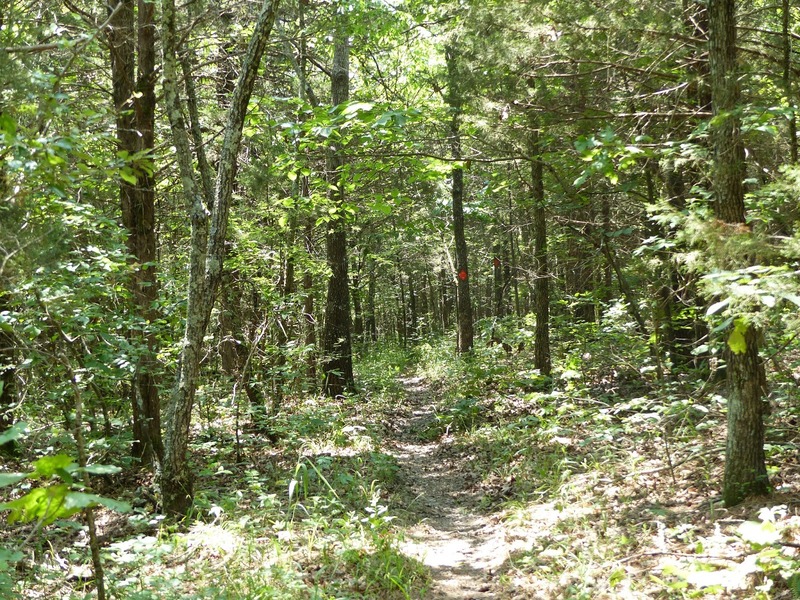 This trail is fairly easy as it has no steep hills, and it passes through a dense stand of pines that smells awesome! 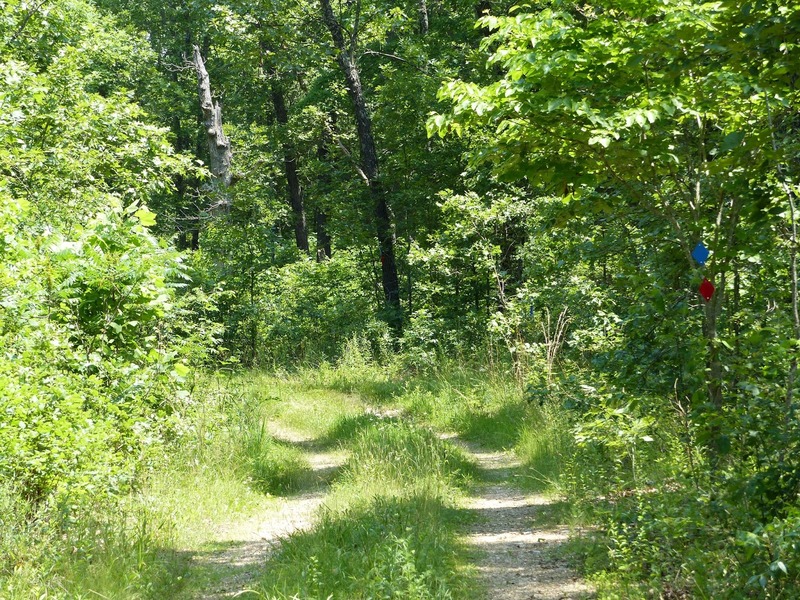 Blue Trail – Continuing north from the north end of the orange loop, this loop heads toward the river. 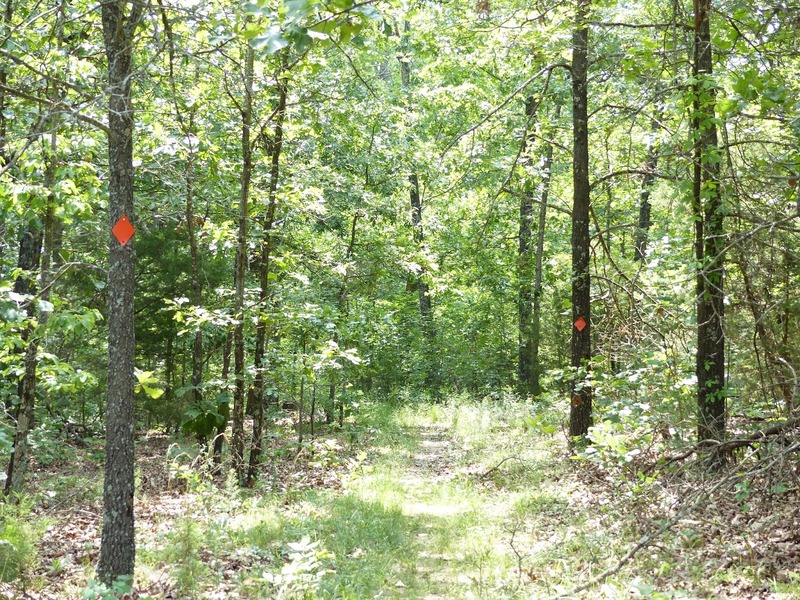 Red Trail – This loop is toward the northwest end of the blue loop. 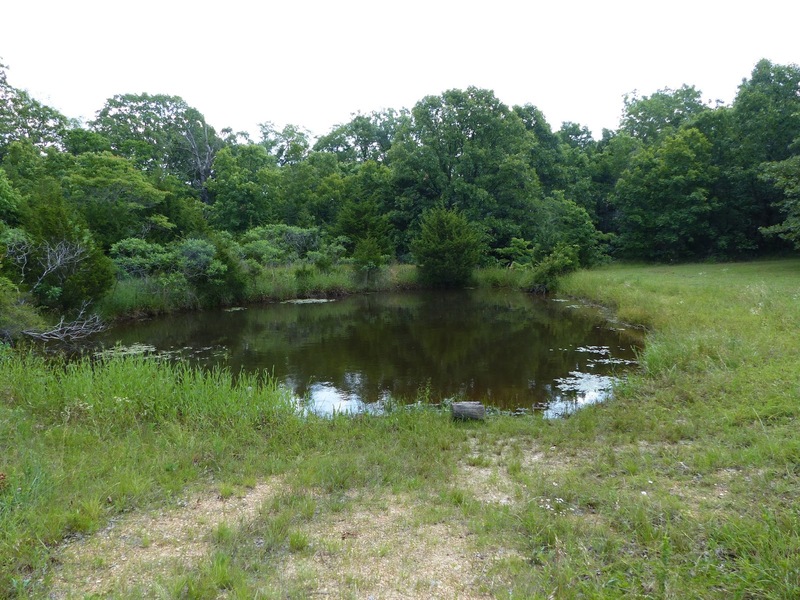 It crosses the gravel road a couple times. Cochise River Trail – This is the trail that isn’t officially designated by the forest service, and it is not marked yet, however it is cut and maintained. There are 3 river access spots on this trail. I had rode this trail a few years back and was not impressed at the time. 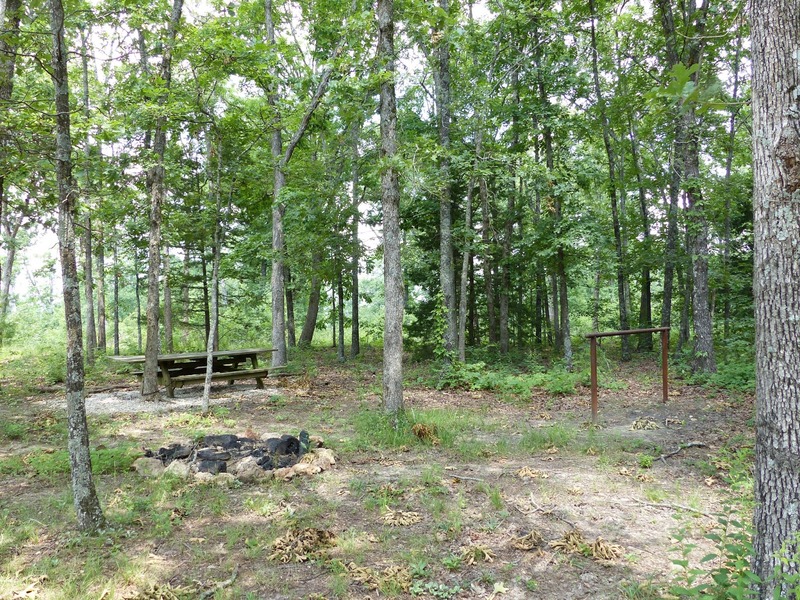 It was overgrown and weedy, even the trailhead/campground was a mess and had nothing at all there. The only part of the trail I enjoyed was the areas that went through the pine forest. It was easy to get lost and we did, causing us to end up on private property and having a hot ride back to the trailhead on the gravel road. I didn’t really intend to ever go back. The improvements made to it have been phenomenal and now I can’t wait to go back and ride it. 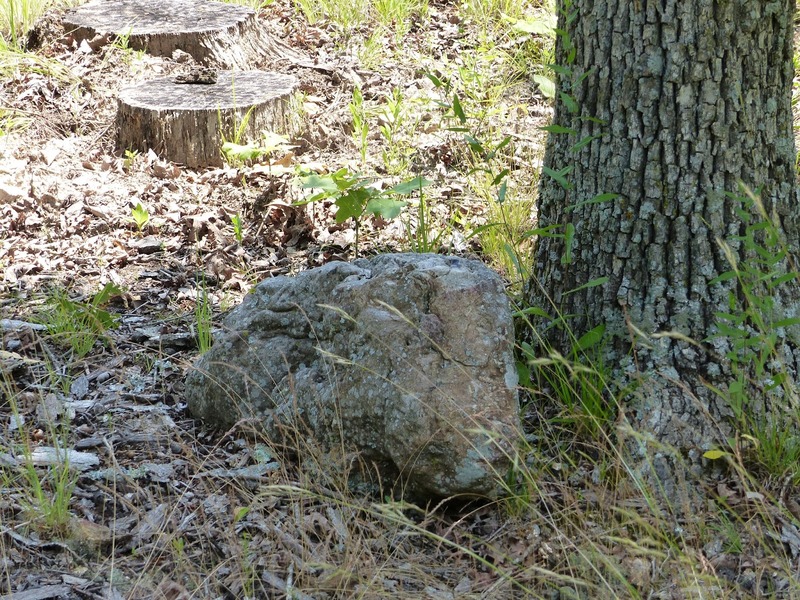 Once I do, I’ll add more pictures from deeper in on the trail, as well as more detailed info on each trail. 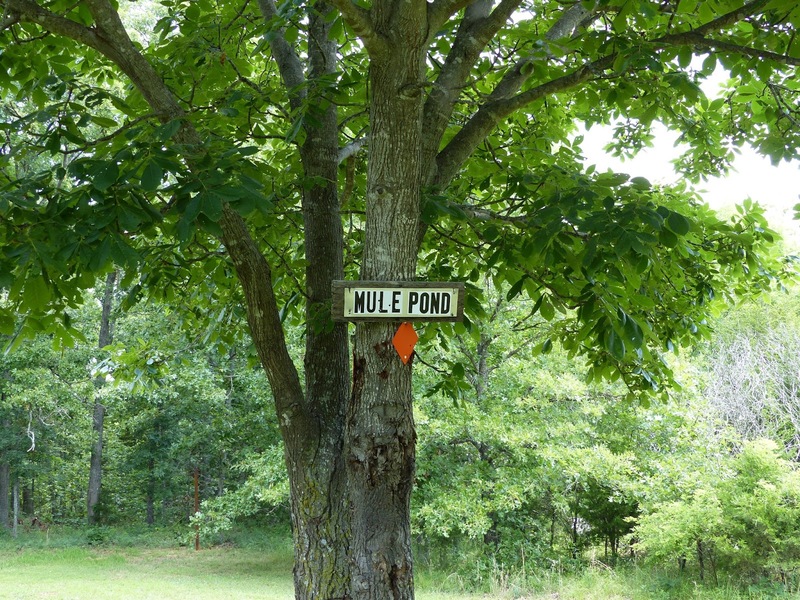 Sign at the turn to the campground. 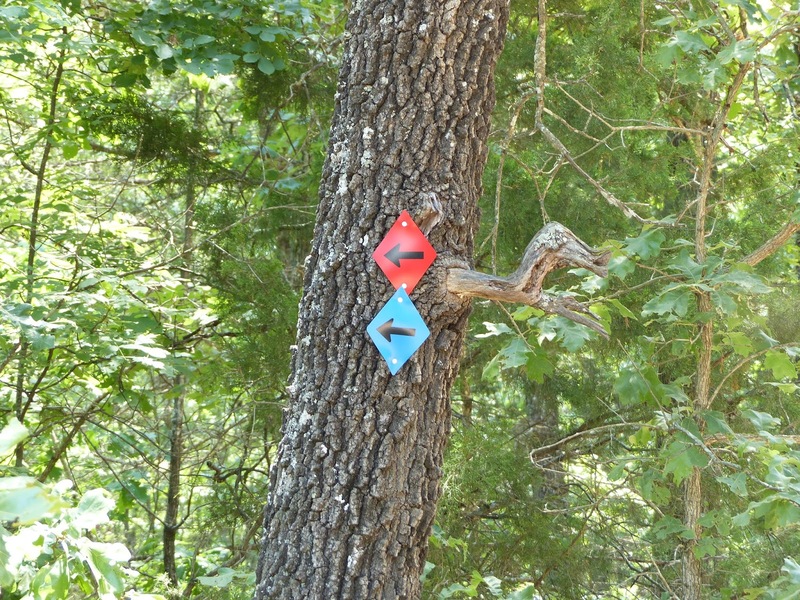 Color diamond with number marking at gravel road exit. 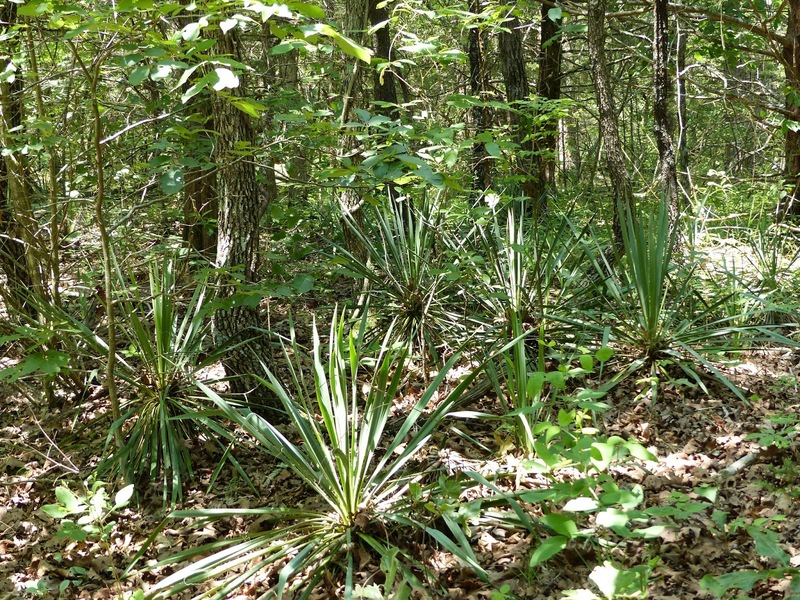 Yucca’s growing often indicates there was a home nearby many years past. Some two track logging roads. Where the yellow and orange trails meet at the gravel road. A few sunny open areas to ride through. Lots of shady single track. Well marked with corresponding colored diamonds. The following pictures all show where the blue and red run concurrent.